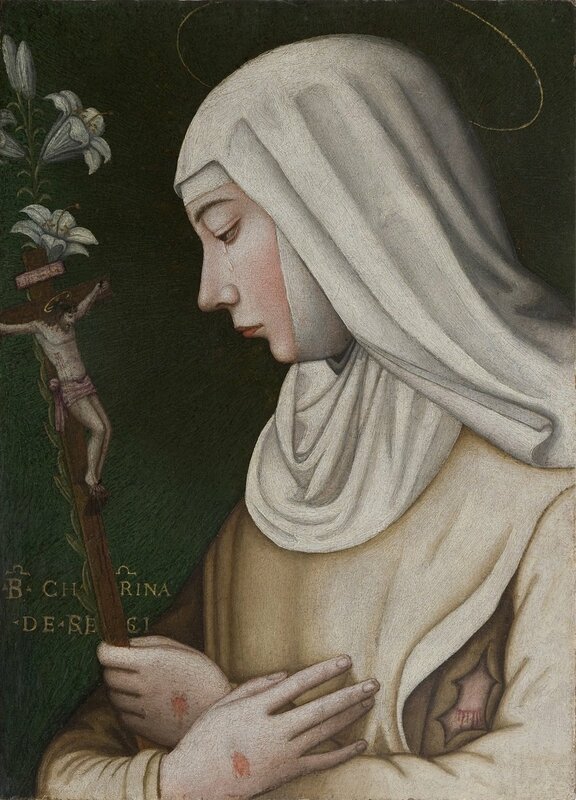 Nelli's Saint Catherine with a Lily represents the patron saint of her order. Florence’s Last Super Museum of Andrea del Sarto boasts new work attributed to Nelli. Florence’s Last Super Museum of Andrea del Sarto boasts a new work attributed to Nelli. This small-scale work discovered in the Pitti Palace’s attic by Dr. Fausta Navarro, represents the patron saint of Plautilla Nelli’s order. 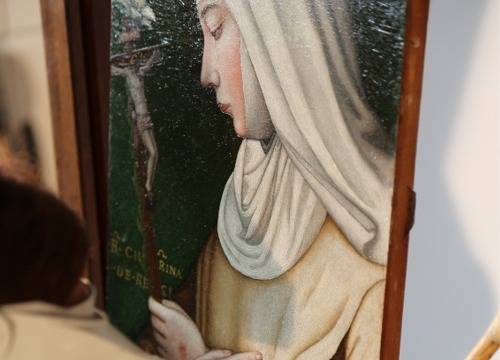 It is the first of a series of Saint Catherine paintings that AWA has restored from various churches in Tuscany, that were thought to be from Nelli’s school. Devotional paintings like this one were typical of Nelli’s convent-bottega since noble families in Florence often commissioned such works for their private chapels. Simple art by ‘nun artists’ were considered ‘relics’ of sorts and were often thought to have spiritual properties. Look at the red lips on this Saint Catherine, as her mouth is painted in Nelli’s signature ‘style’. 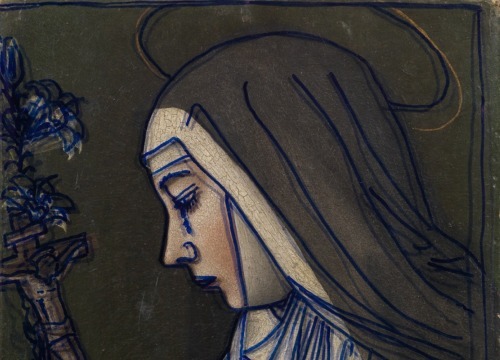 A small painting used for private prayer is now a public treasure on display. Conservation is a bridge between art and science. In-studio tracing proves that Nelli's serial Saint Catherines were all drawn from the same cartoon.